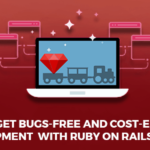 Why choose ruby on rails for your web and mobile application development in 2018? Because it has now earned the status of a proven and matured technology that has been around for an entire decade. Because by now, we know that it is more than just an overrated JS framework that might go obsolete in the next some time. Because the Rails community is super-active, collaborative & vibrant. 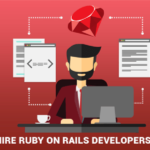 Because Ruby is still one of the most beautiful and elegant of all programming languages and Ruby on Rails is written in this language meant for programmers’ convenience and delight. Last but not the least, because the best part about using this framework is that it allows you to easily develop a prototype of your idea in a rather short span of time. We have been witnessing divergence between front end development and back-end development of late; wherein the traditional practices of full-stack single app development are losing relevance. 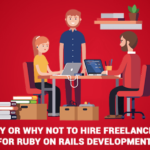 However, when you operate as a small team specializing at ruby on rails and need to develop a product from end-to-end with the process involving its development, maintenance and iteration, it makes perfect sense to work with single full-stack framework of Ruby on Rails. Rails APIs present you with the best solutions in this case. With your team growing bigger in the future, however, you may require to have a back-end distinguished from the front end in order to boost the app’s performance. This implies that 2018 will very much continue to be the year of Ruby on Rails despite the advent of newer and hotter technologies. All it’s going to boil down to is to use the stack best-suited to the job you need to perform – as the saying goes. RoR is still going to continue to evolve and for many people, it is going to be their choice of framework for full-stack application development. 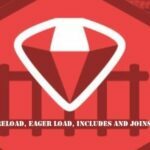 RailsCarma has been working on Ruby on Rails framework from its nascent stage and has handled over 250 RoR projects. 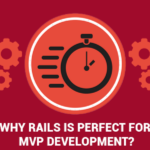 With a team of over 100+ RoR developers well-versed with latest techniques and tools, RailsCarma is well suited to help you with all your development needs.